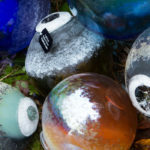 Many of us have collected treasures we find outside to display in our homes from shells to rocks to feathers, but have you ever found a glass float? 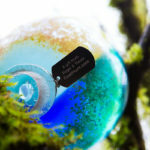 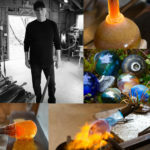 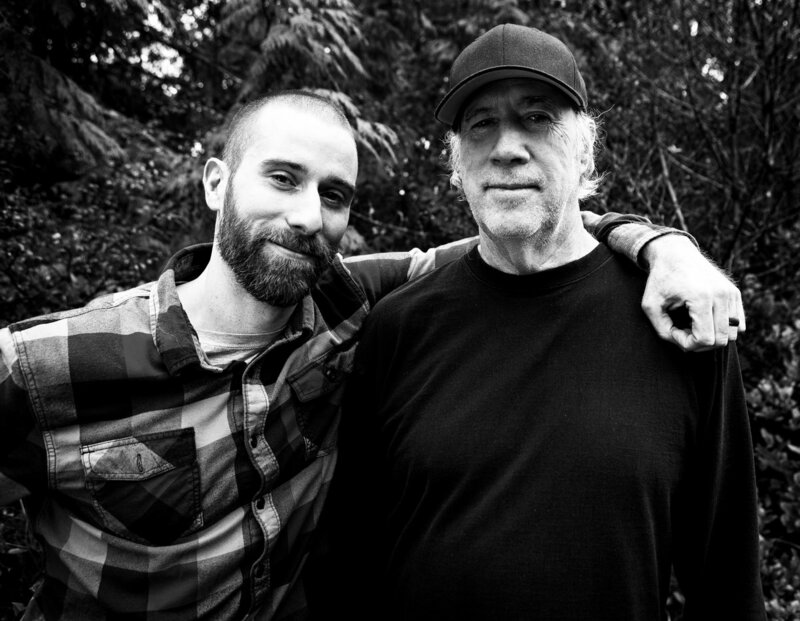 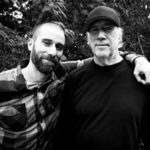 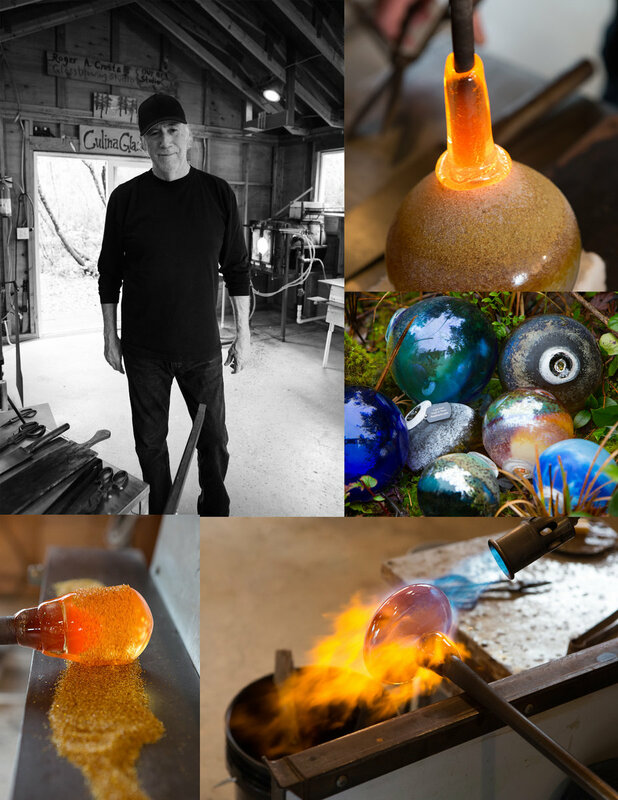 Roger and Trevor have hidden their artisan-created glass floats, made with the Scavo technique, in secret spots on your favorite Oregon trails and beaches as part of their Float Hunt Project. 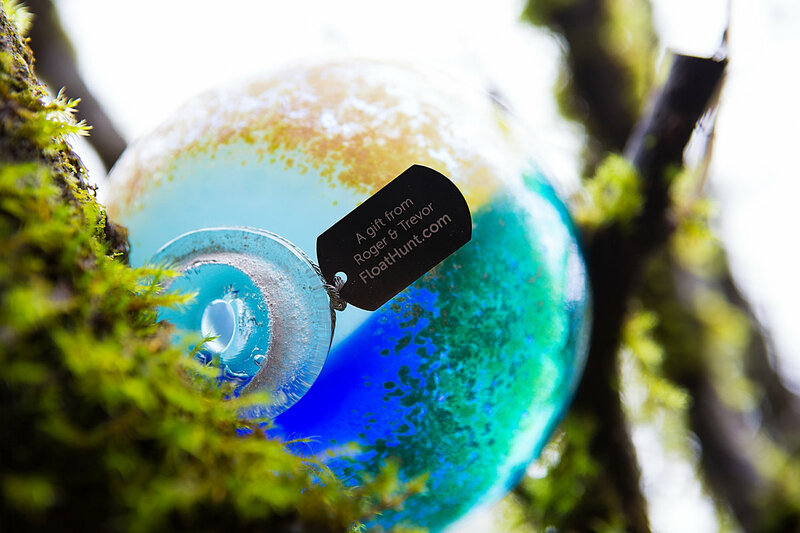 Made to look like they’ve been floating at sea for decades, the project has been a treasure hunt since its inception in 2015. 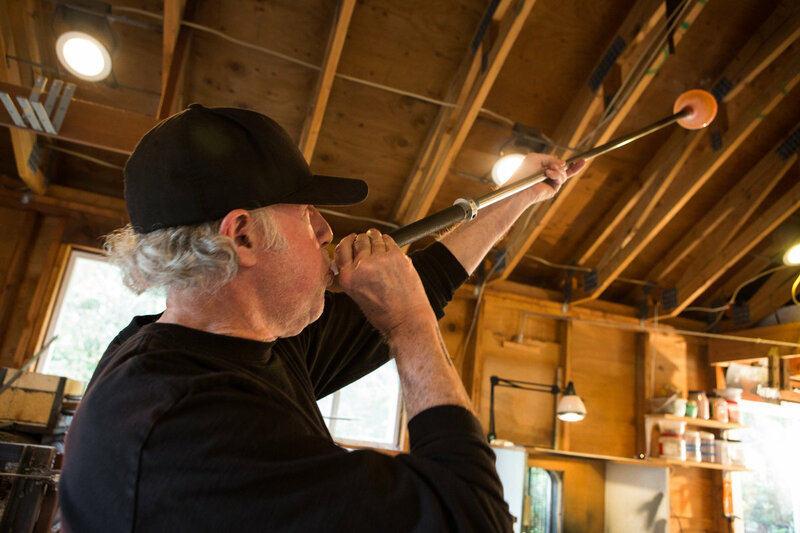 Either nestled in driftwood, sitting alongside high desert trails, or washed up from the surf, take a close look next time you’re out to find a Crosta creation. 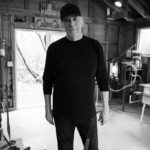 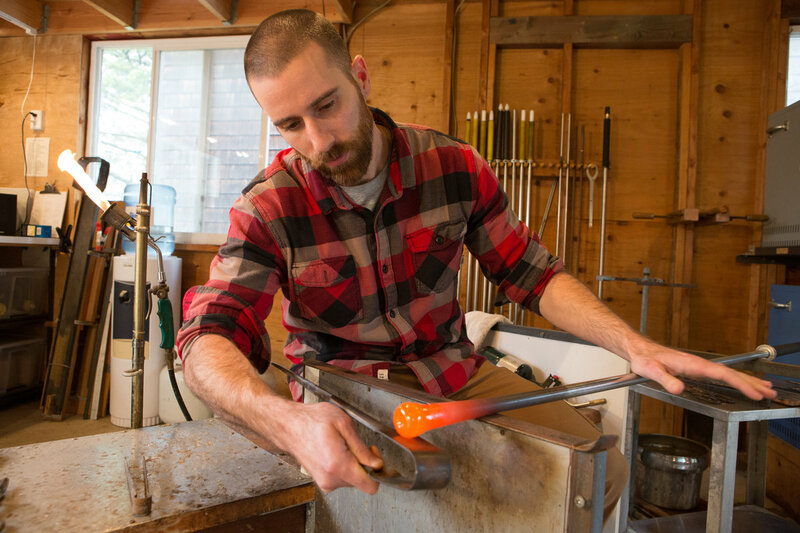 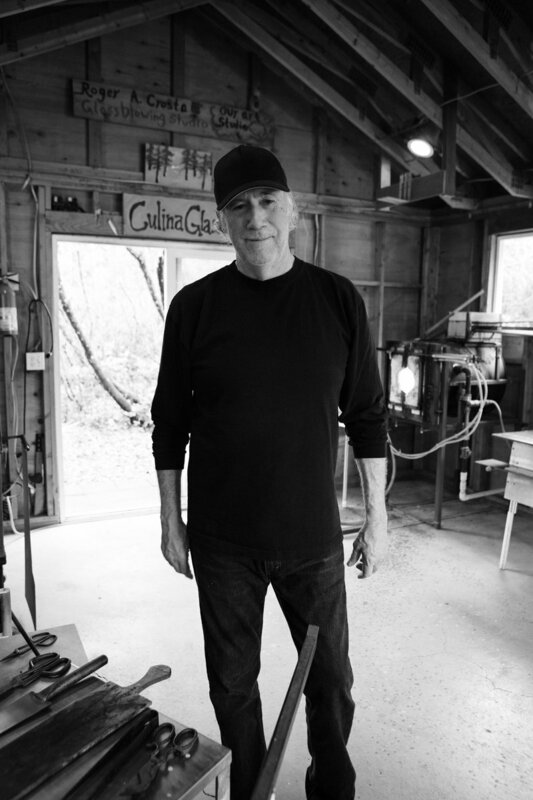 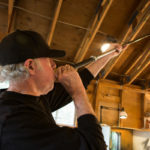 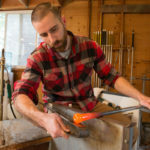 A traditional glass-making technique has made its way from Italy to Manzanita and now Bend, thanks to father and son duo Roger and Trevor Crosta. 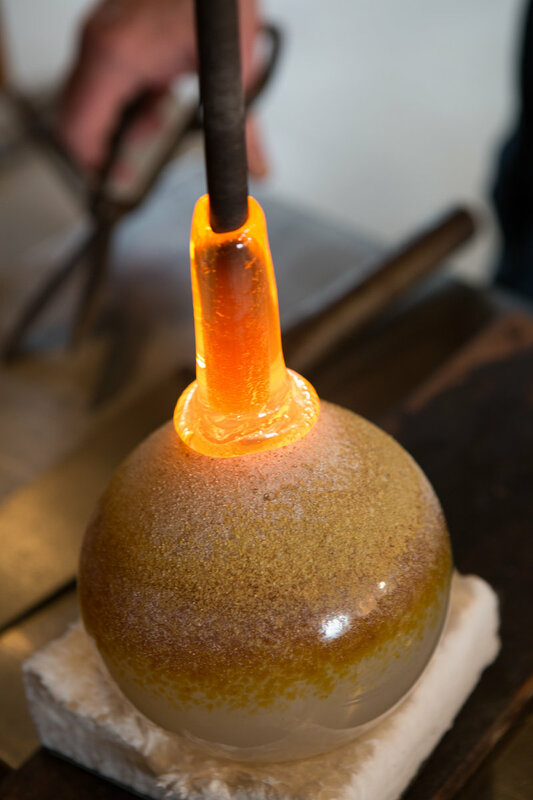 Artisan-owners of local studio Crosta Lighting, they use a process called “scavo,” which is Italian for excavation. 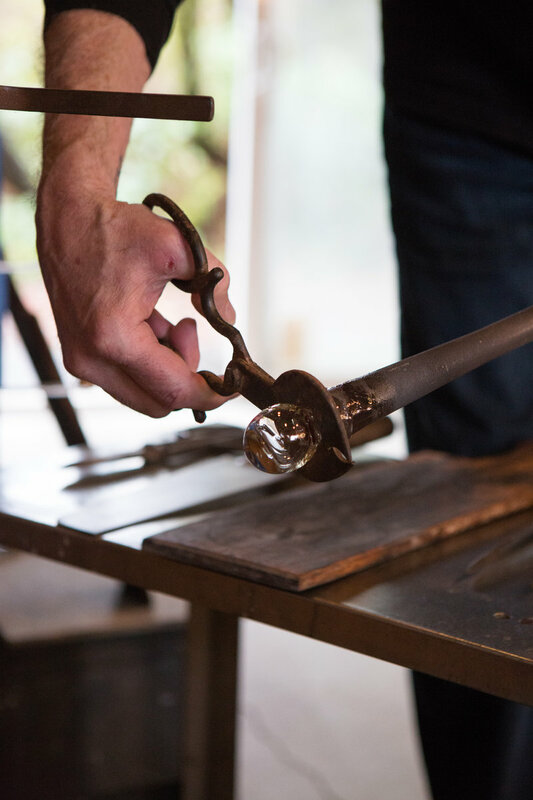 The process adds a gritty yet graceful texture to their blown-glass art, which includes hanging pendants and chandeliers. 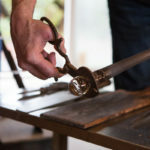 Each piece, made individually and by hand, feels unearthed from centuries ago—uniquely worn and intricate. 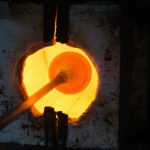 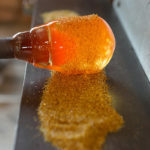 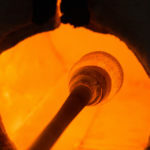 The Scavo method, which began in the 1920s, requires a mixed powder of organic compounds and is applied to molten glass at extremely high temperatures. 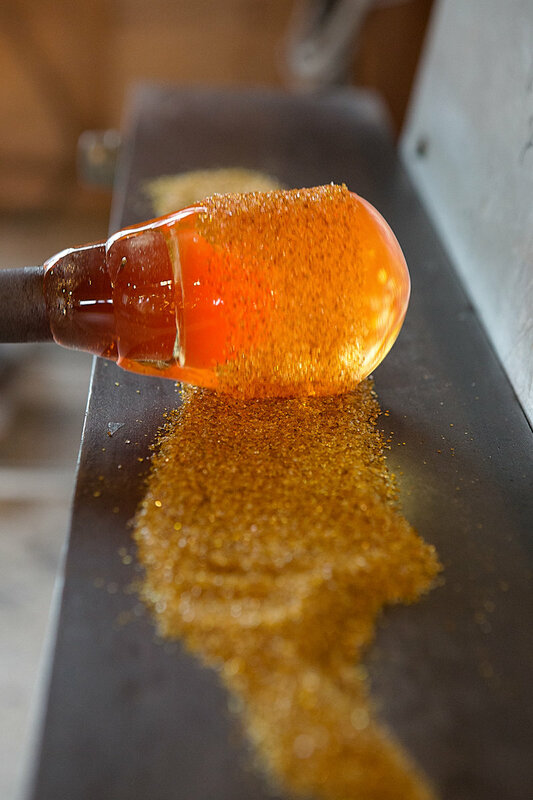 The mixture essentially eats the surface of the glass creating distinctive designs. 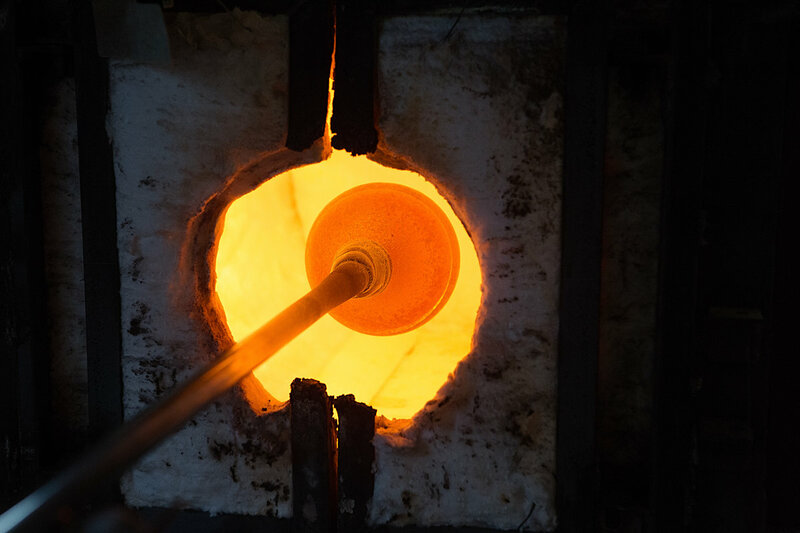 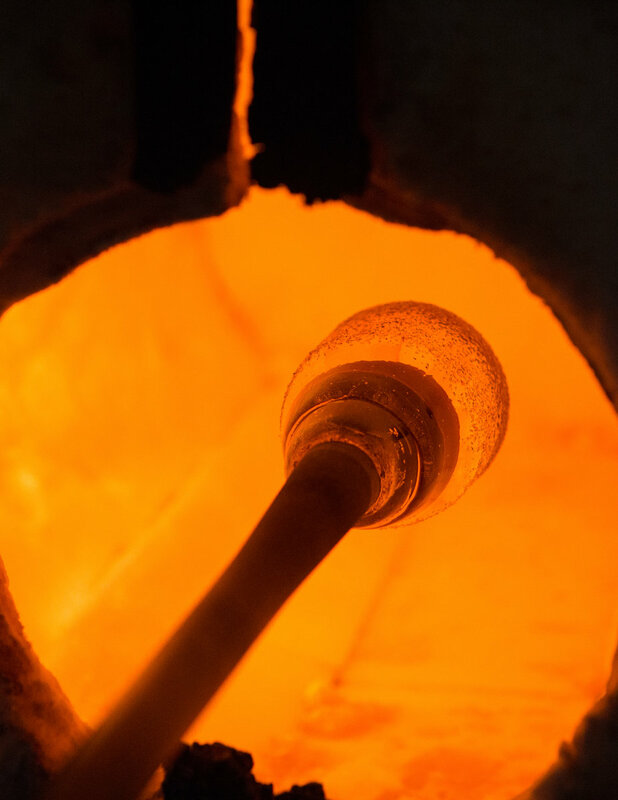 Once the annealing process is complete, the surface of the glass is scrubbed and washed to expose the texture. 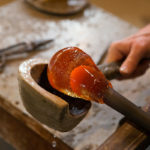 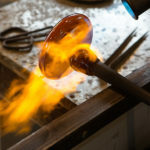 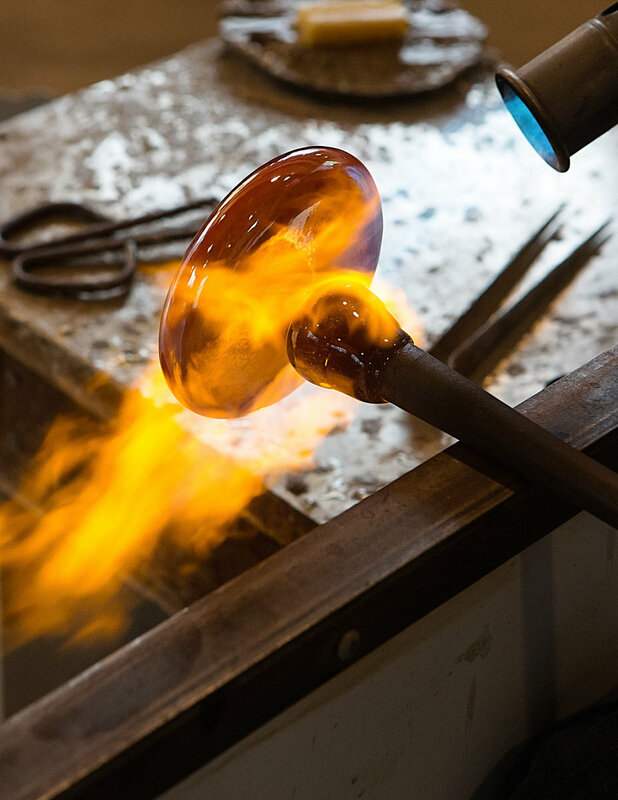 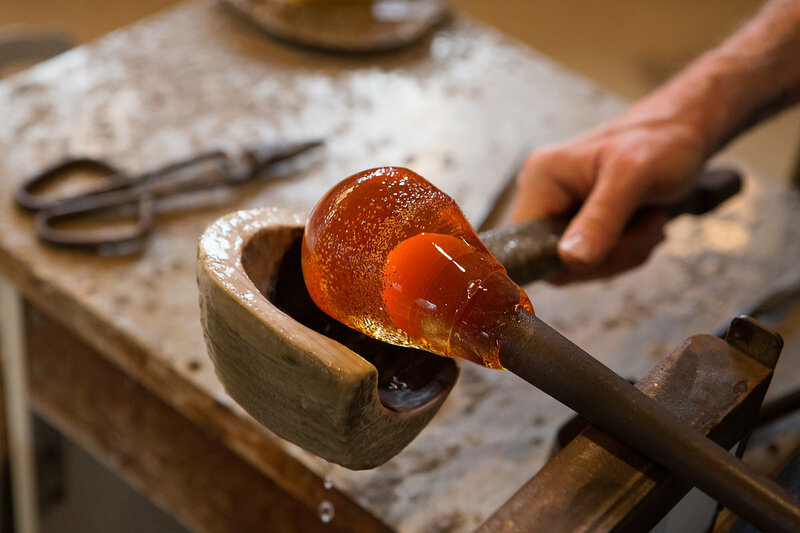 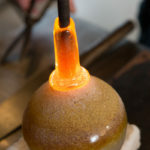 At the final stage, the Crostas cold work the glass and attach the piece to handmade hardware, which they painstakingly make from solid brass, applying patina to each part by torch. 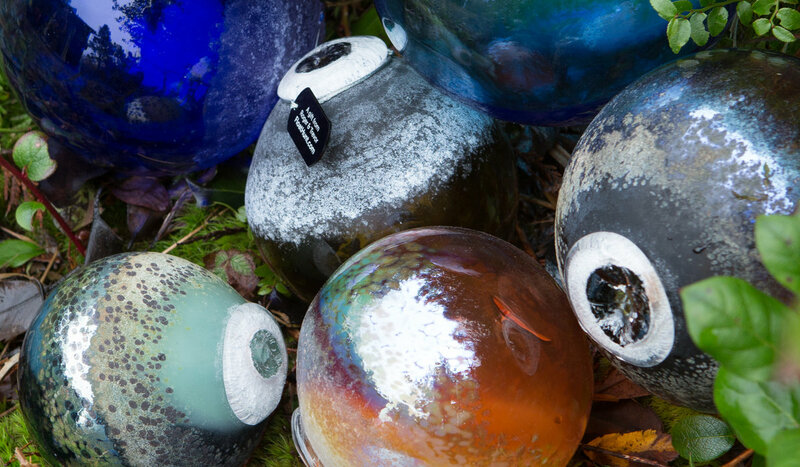 Inspired by colors of the natural world, the Crosta’s creations feel scoured right from the grounds of Oregon favored regions, including the high desert, the mountains, the beach, and our cities.